Professional video editing software are extremely powerful and complex applications that are used to make projects like movies, TV shows, TV commercials, music albums etc. With the help of these software one can transform ordinary film footage, sound clips, digital images and more into exceptional visuals. These can manipulate light, color and sound to describe the story by creating dazzling effects. With the invent of new technologies and their everyday usage, video editing too has become an easy task, only if you know which editors to choose for work. Nowadays, a huge number of video editing software available in the industry — both paid and free, it will be probably a tough task for an individual to choose the right editing tool from the list and complete any task! 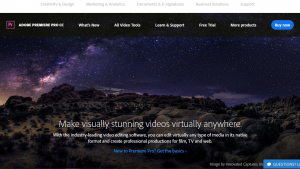 To resolve the above-mentioned issue, here we are going to discuss top 10 and best free and paid video editing tools. We have also listed down important features, supported platforms and pricing of each tool. It is a popular, timeline-based audio visual editor that is available for both Windows and Mac operating system. It is a paid software and very useful mainly for integrating with After Effects and Photoshop, masking, outstanding transitions etc. Main Features: HD Support, editing Multi Track, storyboard mode, unlimited audio and tracks, linear timecode display and NDE. It is the best tool that has helped many filmmakers to edit movies like The Social Network and The Girl with the Dragon Tattoo. 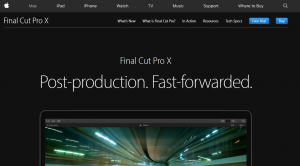 It is developed by Apple Inc, FCP has a number of noticeable features such as user friendly interface, useful keyboard shortcuts and much more. It is an easy to use, high quality and quick editor for Windows computers. It is developed by Online Media Technologies, offers a number of useful features such as large amount of effects, Blu-ray videos support, multilingual support, share audio visual clips directly through social media platforms like Facebook, Flick and MySpace. Input Formats Supported: AVI, MP4, MKV, FLV, AMV, 3GP, MPG, DAT, VCD etc. Output Formats Supported: AVI, MP4, WMV, SWF, FLV, MPG etc. Price: All software from AVS is available as a bundle for $59, but comes with an unlimited trial version. Key Features: HD Support, Non-destructive Editing, Single Track, Dual Audio track. 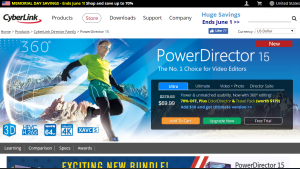 It is one of the best tools for creating stunning videos on Windows PCs. 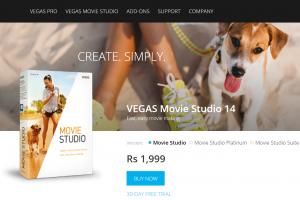 It is the minimized version of Sony Vegas Pro and meant for professionals, who would prefer simple interface, along with support for additional elements such as transitions, text, cinematic stabilization, real-time effects etc. Input Formats Supported: MP4, AVI, WAV, WMV, QuickTime, MPEG-4 etc. Output Formats Supported: AVI, MP4, MPEG-4, WMV, WAV etc. 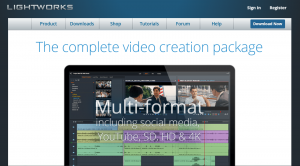 It is built on MLT Framework and a great for an open-source video editing software that makes sense. It is available for Linux and Mac OS X, offers inspiring features at the time of preparing stunning audio-visual results. Some other features include ability to apply special transition effects, multi-track editing features etc. 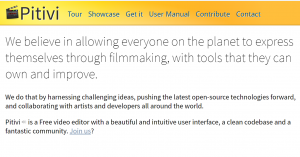 It is open-source editing software that is available for Linux-based devices in a few seconds. Some of its important features are simple yet effective editing competences, various transitions, filters and effects, available in multiple languages etc. Main Features: HD Support, NDE, Multi Track editing, unlimited tracks and linear time code display. 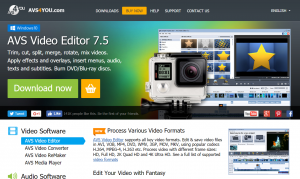 It is consumer-focused software for video editing, and it comes with a simple user interface. From Professional looking animations as well as slideshows , you can keep editing even when you are away from PC because it has published Smartphone applications for this tool. Output Formats Supported:MVC, MPEG-4, MKV, WMV, QuickTime etc. Important Features:High Definition support, NDE, 100 tracks, linear time code display and storyboard mode. It comes from the same family of CorelDraw, the popular graphics suite. It is great tool as it makes editing a simpler process. After purchasing the ultimate version, one can get features such as variable speed , easier ways to create overlays and titles, multi-monitor support, DSLR enlarged mode, stop-motion animation etc. Main Features: HD Support, Non-destructive editing, storyboard mode, 6 visual tracks and 4 audio tracks, linear time code display. It is used for Macintosh devices, which comes from Apple Inc. 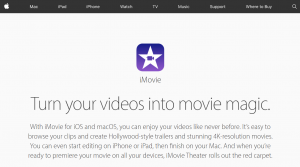 It can help you deal with video editing even while using any iOS-based device — be it iPhone, iPod or iPad. It includes various features, some includes truly impressive collection of transitions, drag-based interface, ability to fine tune clips etc. Vital Features: NDE, HD Support, 2 movie tracks and 4 audio tracks, linear timecode display and storyboard mode. One thing you must do is search widely in the market and try to make a list of software with their pros and cons. Make sure you have taken enough time to have a look at the features of every software program together. If possible try to take a trial version if available which can help you decide things in a better way. Also, nowadays there are many professional video editing institutes who provide training on various job oriented post production courses and applications like Final Cut Studio, Adobe Premiere Pro, Adobe Lightroom, FCP, Adobe After Effects etc. In case if you know any other video editing software which is not listed above, then please share the name and details in the comments section below.